Help Yourself - How The World Is Becoming Self-Service! You are Here: Techarta » Tech News and Facts » Help Yourself – How The World Is Becoming Self-Service! Help Yourself – How The World Is Becoming Self-Service! It is now possible to fill up your tank and pay for your petrol without even speaking to anyone! 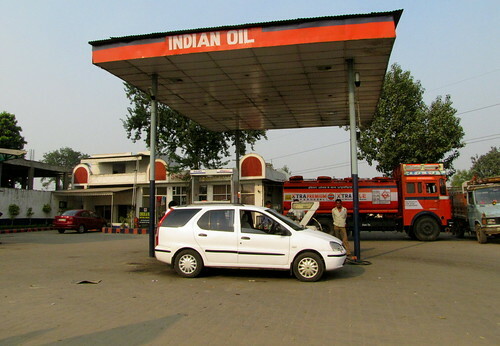 Now that self-service petrol pumps are in service, petrol stations can stay open around the clock, meaning that no matter what time of day or night you need to fill up, you can. Automated systems are taking over, and very soon we might see completely unmanned petrol stations, with vending machines for your drinks and snacks. It is now possible to phone a call centre and speak to an automaton and get everything you want – for example changing your address or paying your bills. With the advent of IVR (Interactive Voice Recognition) you no longer need to listen to reams of options, pressing buttons along the way. New phone systems recognise what you are saying and can take and deliver information without the need for a human being to get involved at all. 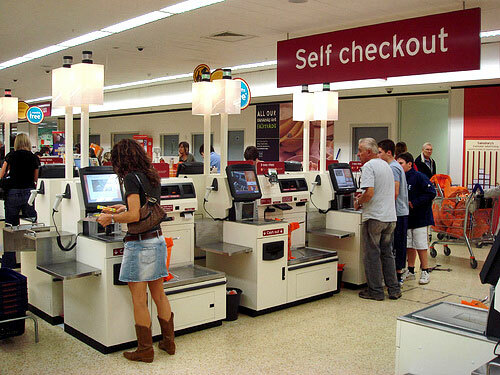 Okay, hands up who hasn’t sworn at a self-service checkout? Yes, they are frustrating, but technology is much more sophisticated than it used to be and they are becoming far easier to use. They mean that customers can shop day or night, 7 days a week, without shops having to pay their staff to sit on an empty checkout in case someone should come in. These machines take both cash and credit and debit cards so they are versatile and user-friendly (unless they break down!). With online banking, banks need less and less staff. Customers can make withdrawals, transfer money, pay bills and view statements without the need for anyone else to get involved. This means less queuing at banks, and more control of your money as your balances are available to you at the touch of a button. It saves paper too – which is good for the environment. The downside of all this of course is that it is so heavily reliant on technology. Systems must be completely robust otherwise the business using them will become a laughing stock. What companies save in man hours on the frontline is more than made up for by what they now have to spend on their IT systems and staff. But it’s money well spent, as the future is only going to get more reliant on technology. The clever companies are embracing it, along with its pitfalls, in the hope that they will stay ahead of their competitors in their computer systems. Times are definitely changing but the old saying still applies – ‘if you want something doing properly, do it yourself’! Today's guest author, James Morrison, is a network engineer at Simpified Telephone Solutions, an IVR service provider based in Toronto. He is a warm and friendly person. He enjoys listening to old rock music in his spare time. What to do with your Old PC?